We paid another visit to the pediatrician today. Liam refrained from pooping on anything, but as you can see from the photo he did decide to soil the patient table. No pants required. 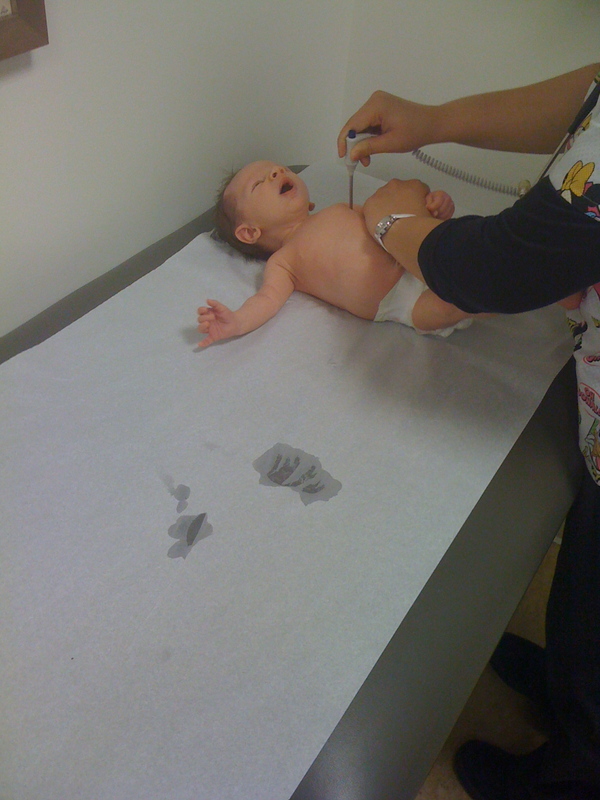 Liam getting his temperature taken. It was 98.6, for the record. He wasn't very polite--check out the soiled sheet. He weighed in at nearly 9 pounds, 4 ounces stretching to nearly 22 inches as his four-week birthday arrives tomorrow. We’re told we have a very healthy little boy. We are very lucky. Speaking of visits, I made my first trip to Diapers.com and came away impressed. I purchased around 260 diapers for about $41.00 including next day shipping. It was easy. Once Mrs. Moosh passes along her referral code, she’ll make a little money. If anyone would like to say I referred you, please use my code: SKSU0938. I had heard the stories. 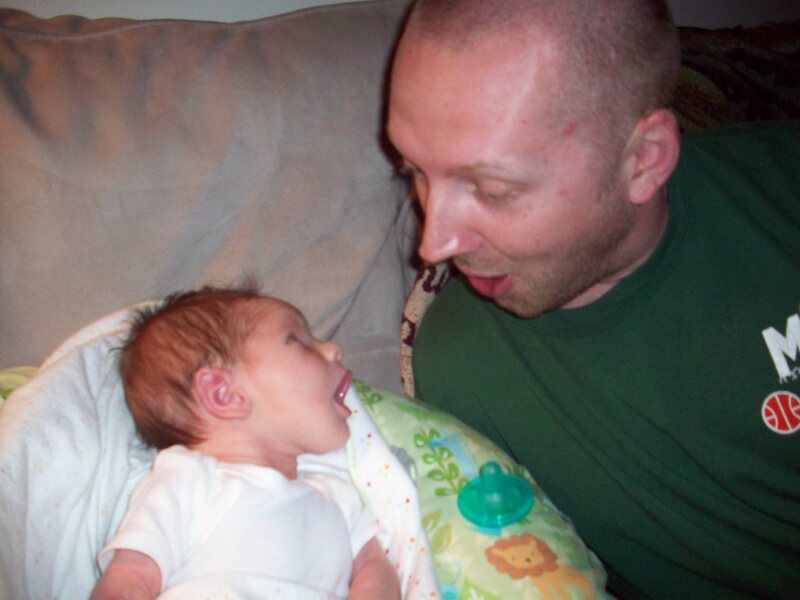 Baby pees on Dad while changing diaper. It’s chilly while baby is naked; baby pees on Dad. I was told, Fasten the diaper quickly so you don’t get soiled. Liam allowed those warnings to become reality today. And they’re right, it really does look like a little fountain surging straight into the air (about 18 inches of air) while spraying an innocent father, the freshly cleaned onesie and even Liam’s face (ouch)! I need to act quicker next time. The learning curve continues. GOOD STUFF FROM UIC ATHLETICS: Check out the softball story here and read about the St. Ann Elementary event here.